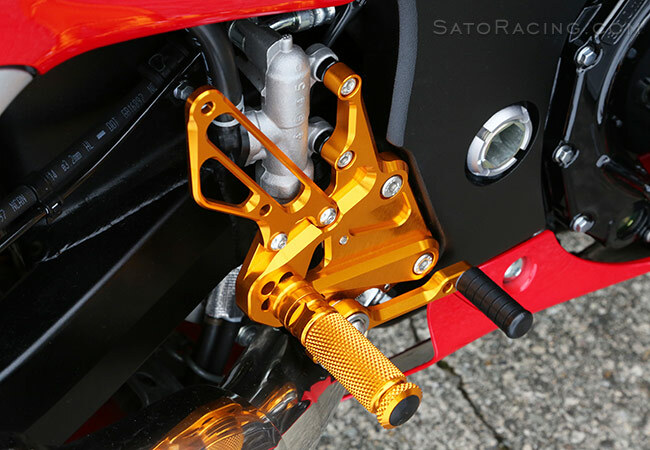 SATO RACING Rear Sets for ABS-equipped Suzuki GSX1300R Hayabusa feature 5 adjustable positions in a useful range that moves your feet up to 37mm higher and 31mm further back compared to stock, for a sportier, more aggressive riding position. 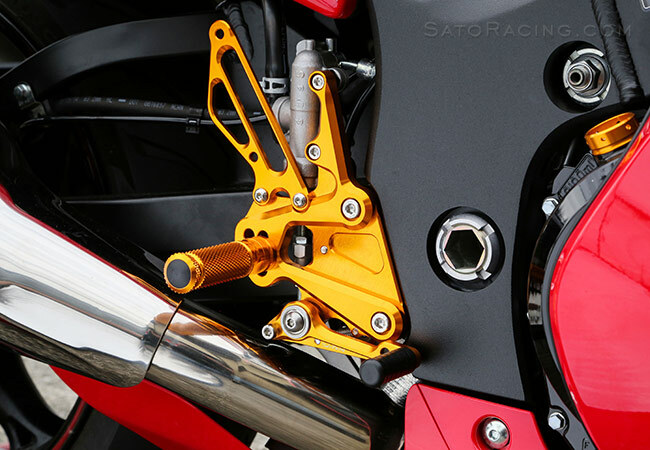 These high quality billet aluminum Rear Sets are anodized in your choice of deep Black or vivid Gold finish. 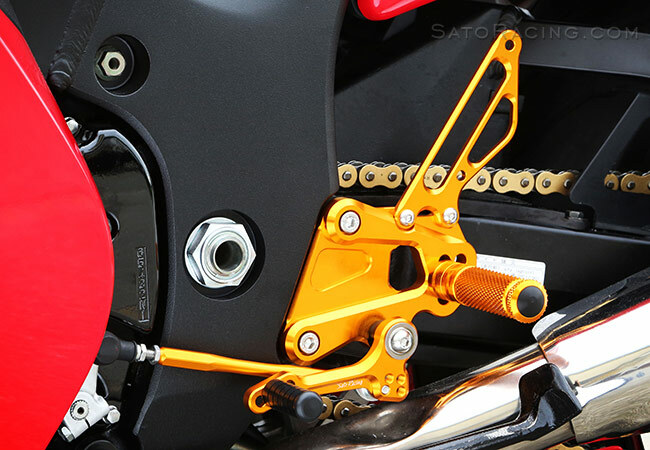 full compatibility with the stock brake light switch and ABS. 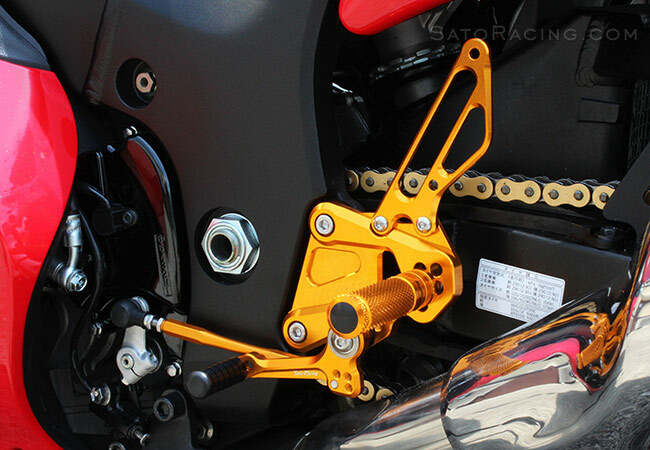 The foot pegs feature a finely knurled pattern for superior grip and feel. 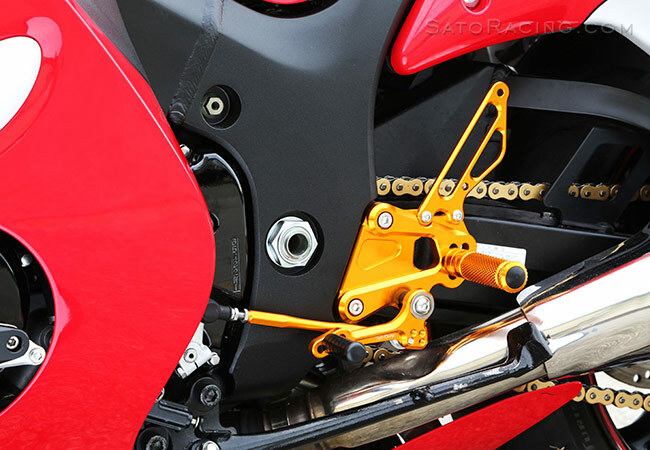 shift pattern may be possible if you have removed the stock side stand. 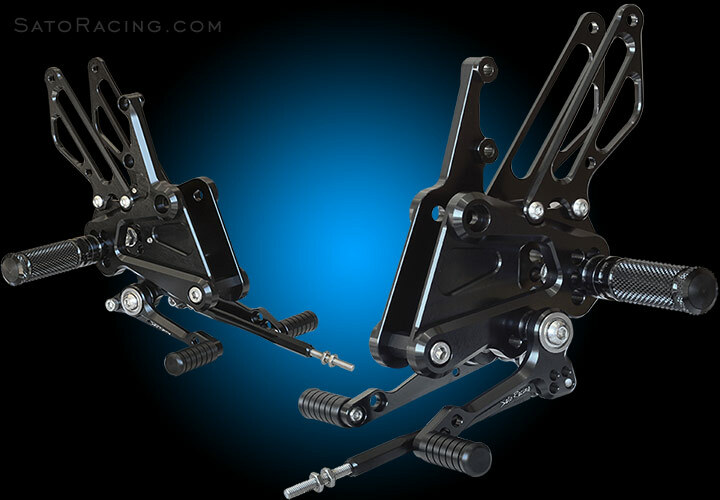 for smooth, precise pedal action and a solid feel. 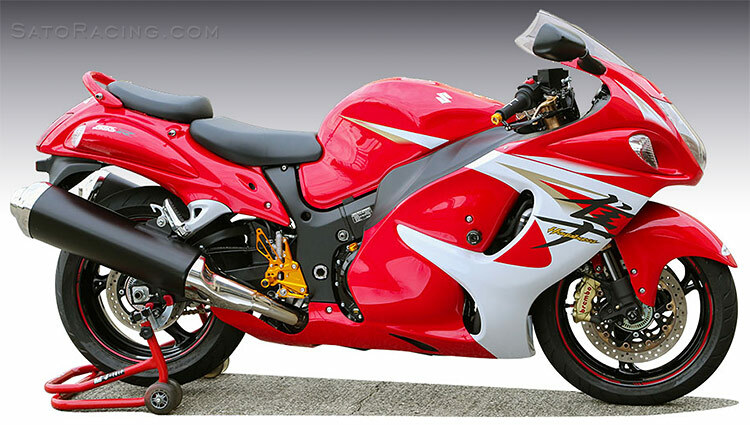 fine-tune the shift stroke and shifter feel.